We have over 26 acres of cars. That’s a lot of cars, and we’re buying new cars every day from folks like you. 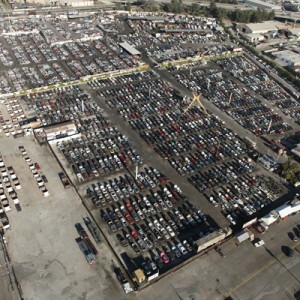 Having a large inventory of vehicles is our business. So if you would like to sell a car, we would like to buy it. Since we’ve been buying cars for over 60 years, we know how to treat our car sellers. We have a great reputation for service, fast car pick ups, and offering very competitive pricing – usually the best price for used cars. 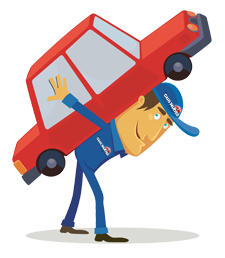 We’ll take care of all of the DMV paperwork necessary to get your car sold to us and correctly transferred. We handle everything from A to Z. We care about the environment. We go to great lengths to assure the every step of our processes are conducted with the best interests of the environment at hand. We are members of the Automobile Recyclers Association as well as the Southern California Automobile Dismantlers Association. Please be sure that you vehicle buyer is one that cares about the environment. If you care too, please call us about buying your car.